A view of the entire village - It is a small village! 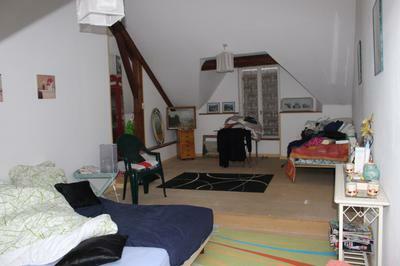 A semi-detached house in the centre of a small but vibrant Vosgean village that is very friendly to non-French people. Whilst it is a very French community, there are a number of permanent foreign families living there, all of whom are very much part of the local life (one Dutch woman was even elected to the village council!). 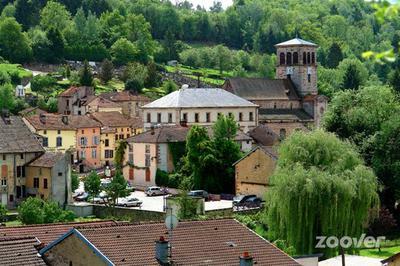 This village is in what is known as the Low Vosges, and is not really a tourist region, but in spite of this it is in a superbly beautiful part of France, offering many wonderful walks in the mix of huge forests and rolling countryside, as well as a very active communal life. The house itself is slap-bang in the centre of the vilage, about 50 meters from the boulangerie (baker), and not much further to the Post office, the general store, the town hall, the museum of embroidery (the Village was once an important centre for the embroidery and lace industry) a cafe (one of two in the village - the other one, run by a Dutchman is on the edge of the village in an enormous wooden house. 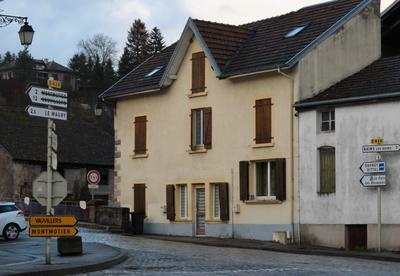 The nearest large towns is Epinal, which is about 30 km from Fontenoy. From Epinal it is possible to catch the TGV to Paris, and it isn't far to the main north/south Motorways either. 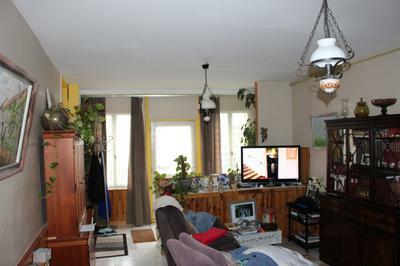 The pictures show reasonably well how the house is, these photos were taken while our last tenant was still living in the house, so obviously it will be sold without furniture and other such things.